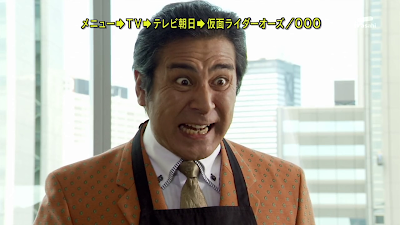 Satirical News: Cake Boss Reveals Why Toei Won't Accept the Idea of Kamen Rider Fourze Adaptation! Cake Boss revealed to why Toei though they will allow him to get the rights to Super Sentai and recreate it (or adapt it) as Power Rangers with legal consent, reveals why Toei won't accept the Kamen Rider Fourze adaptation. The script Power Rider Apollo (tentative title for the American adaptation that was junked) displeased Toei especially it was proposed by Butch Hartman who originally wanted to adapt Kamen Rider Kiva into a Danny Phantom-like show. 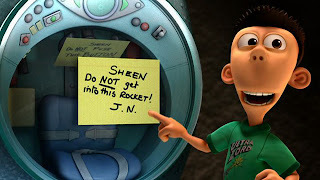 Believe it or not, the script of Power Rider Apollo was meant to be a continuation of Planet Sheen except it'll be featuring Sheen as a high school student, Jimmy Neutron playing the part of Kengo and Sheen having new friends forming the Power Rider Club. Retroville High has become a place for students or is it? Jimmy creates the Power Rider system which Sheen steals to combat the monsters that menace Amanogawa High School. Toei rejected the whole idea that Kamen Rider Fourze will be made into a sequel for Planet Sheen when it becomes an adaptation. Toei's higher ups read the idea and dumped it. They expressed they have nothing against Nicktoons but the idea is just too ridiculous. Cake Boss mentioned, "I guess my own version of Masked Rider was so bad, Toei didn't like it and I respect their decision of not allowing me to make another version. Also, Power Rangers is the current monster hit as of right now so I guess Toei knows what they are doing. Besides, me and Toei had more profit shares from MMPR than the American version of Masked Rider which was a failure. Besides when Nickelodeon wanted to turn Power Rider Apollo into a sequel for Planet Sheen, I understood why Toei turned down the whole proposal. Besides, I guess kids wants more of team heroes these days so Go Go Power Rangers instead was Toei's response to what I can have within my business dealings with them."